I am so excited to announce I am now part of the #NYNYStyleProject (New Year New You Style Project) Team along with blogger friends Katy from Modern Mummy and Kara from Innocent Charms Chats. I love the #NyNyStyleProject and have been taking part since the beginning of the year, the prompts have inspired me daily to be more adventurous and to simply think a little more about what I put on instead of heading straight for the same old thing and staying in my style comfort zone. 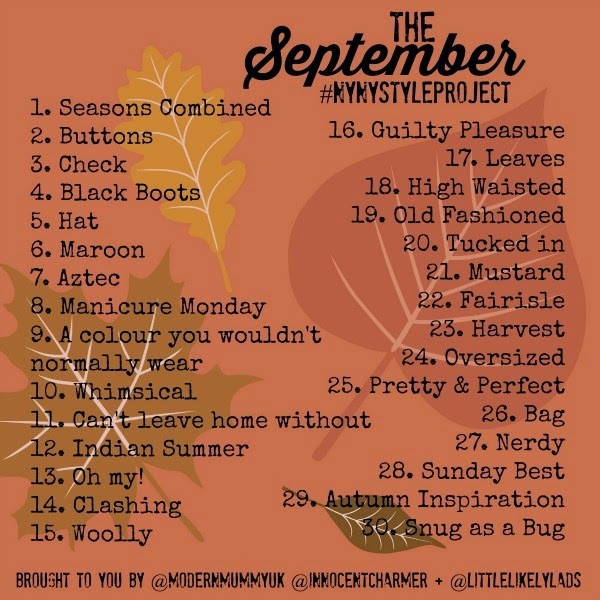 If you are on Instagram or Twitter it would be great if you took part, you don't have to do it each day but can start whenever and dip in and out when you need a little inspiration or just to show off some part (or all of) your fabulous outfit, but just don't forget to tag #NYNYStyleProject I love seeing everyone's interpretation of the daily prompts.